Aside from looking cool and classy, car window tinting offers many practical benefits for car owners. Window tints add safety and security, hiding valuables and reducing the risk of glass shattering during accidents. Tints can also block the sun’s heat and harmful UV rays that are known to make car interiors fade and get unbearably hot in summer. While there are many benefits to having auto window tinting, if not done properly, a bad tint job will make even the nicest cars look bad. As tempting as it might be to opt for DIY tinting and low-quality tints to save money, you’re better off going to the pros for professional car window tinting services. 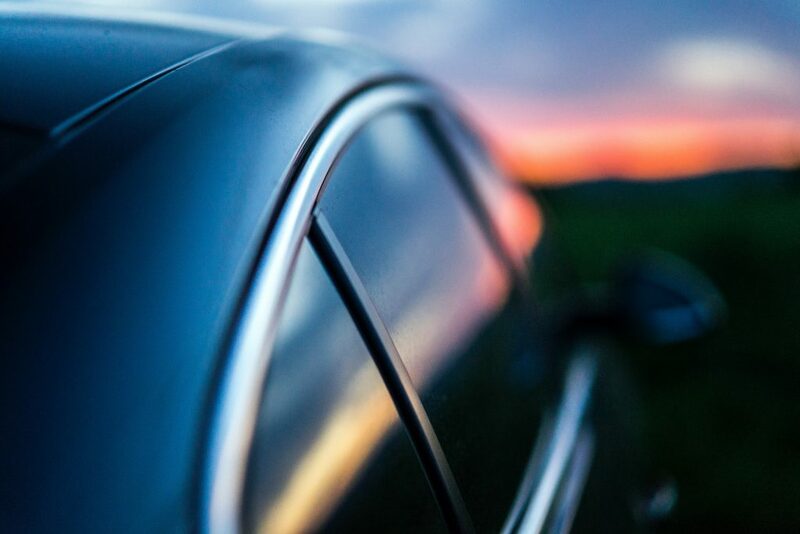 Here’s everything you need to know to avoid a bad window tinting job. Car glass tinting uses films made of clear polyester and a thin layer of tinting agents, including dyes and metals. The dyes absorb light while the metals reflect light. Combined, these block light. The Visible Light Transference (VLT) of tints is the specified amount of visible light that can pass through the tint film. Quality tint films use multiple plies joined together for extra durability, strength, and performance. Window tint films also have an adhesive material that is covered with a liner. This liner protects against contamination, including dust and debris that can lead to bubbles. And it should only be peeled off during installation. A professional tint installer will use a computerized template to pre-cut tint film that matches the shape and size of your car windows. Before applying the tint film to the interior side of the windows, they will thoroughly clean and treat the windows to prevent bubbles. Aside from looking awful overall, here are other signs of a bad car tint job. Look at how close the window tint film is to the window edge. If there is a significant gap and the line isn’t even, then whoever installed the tint didn’t use a computerized template to pre-cut the film. The most basic, low-quality window tints will turn purple with age as the dyes fade. These low-quality tints are made cheap and are not made to last. Low-quality tint films will develop bubbles since the adhesive breaks down prematurely. While large bubbles are hideous to look at, even small bubbles can distort your view. Many car windows have textured dots that can prevent tint film from adhering properly. If the film isn’t installed properly and doesn’t stick, it can result in a zig-zag line at the dot matrix. Like the dot matrix on some windows, the defroster bars on rear windows are also elevated. As such, if the window tint isn’t pressed firmly against these bars, gaps and bubbles will appear and become larger over time. Low-quality tinting will allow more heat from the sun into your vehicle, even if it’s a darker shade. To see how much heat is coming through, place one hand on the interior side of your tinted window and leave one hand outside in the sun. If the interior window feels just as hot as the sun outside, you’ll know it’s not blocking the infrared light. What Makes Good Window Tinting? Just like a bad tint job, you’ll know a good one when you see it. The window tint film should have clean, consistent lines that are close to the edge of the window pane. A professional tint installer will use computerized templates to pre-cut the film and provide a clean, even line. They will also take the time to sand the dots down so there is a consistent line to the edge of the dot matrix. To prevent gaps and bubbles around the defroster bars, expert tint installers will ensure the film is well placed and firmly affixed to this elevated area. No matter the shade, high-quality tint films are more durable and effective at blocking the sun’s heat and UV rays than low-quality films. High-quality tint film also uses superior adhesives that allow the tint to stick properly so it won’t fade, peel, bubble, or crack. Companies that provide high-quality window tinting will have warranties on their products and services. You likely won’t find warranties with low-quality tints because the manufacturers know their products won’t last long. Low-quality tint films won’t last long, especially if installed by someone with little or no window tinting experience. While you might want to save money and opt for cheap tinting, premium tints can be affordable. And the bit of extra money you’ll spend on premium tints will pay off in the long run since they’ll last much longer than cheap tints. Along with distracting bubbles, poorly installed, low-quality window tint films can crack and peel over time, reducing your car’s appearance and your visibility while driving. To avoid ugly, embarrassing window tints that bubble and peel, don’t opt for the cheapest option. Cheap tinting is often done quickly and with low-quality tint films. Attractive and durable window tints require a professional installation with attention to detail and quality tint film. Quality tinting is cost-effective. It allows you to save money in the long run with professionally installed car window tints that will last.